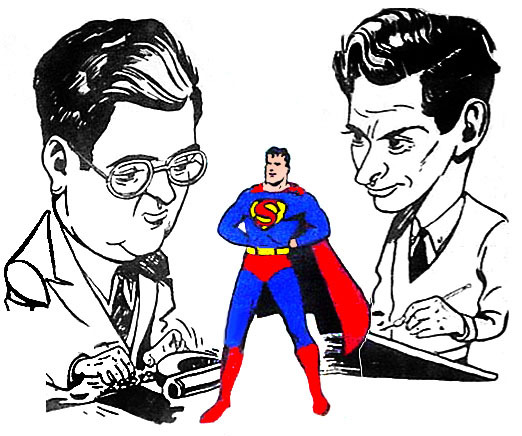 Jerry Siegel (left), Superman, Joe Shuster (right). Drawing by Shuster. 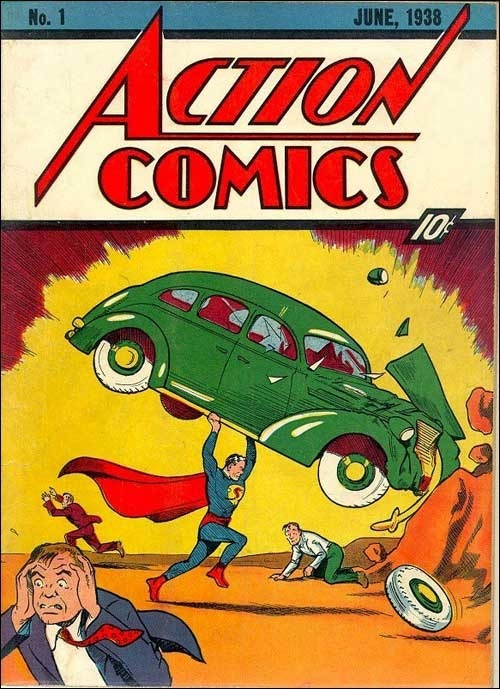 75 years ago today on April 18, 1938: Action Comics #1 (cover dated June 1938), featuring Canadian-born Joe Shuster and Jerry Siegel’s Superman debuts on newsstands. They were each paid $130 for the work (about $10 a page each), but National retained the rights to the Superman character as part of the deal. This entry was posted in Canadian Heroes, Hall of Fame by Kevin A. Boyd. Bookmark the permalink.